Not long ago I was working with a 9 year-old girl who had been adopted from China as an infant. Sarah (not her real name) and her parents had recently visited China, and so I asked what she thought of her trip. In a decided tone Sarah replied that China was " creepy,"and remembered most that there were "a lot of beggars." I felt sad that Sarah's birthcountry visit left a negative indelible mark on her. She was going to have a challenge ahead of her in accepting her birthcountry as being an important and meaningful part of her identity and heritage. It also was not likely that Sarah would desire to return. As a young adolescent I also had the opportunity to visit my birthcountry, South Korea. In fact, I lived in Seoul for a year with my adoptive parents and I was wholly unprepared for this surreal experience. I felt like a foreigner in my birthcountry despite having lived there for my first 5½ years of life. The native Koreans noticed, too. My features may have been classically Asian, but I walked and talked like an American. I received many looks, stares, and what I interpreted at the time to be disapproving judgements. Despite that my circumstances were very different from Sarah's, like her, I felt very little connection with my birthcountry. Instead, I felt bewildered and conspicuous, and less Korean than I could have imagined. Both Sarah and myself would have benefited from thoughtful emotional preparation for a birthcountry visit to facilitate a positive and meaningful context for our experiences. Any life event such as, getting reading for school, starting a job, a birthday party, or adoption, involves preparation. When we don't prepare for an event or important experience, we often find our attention divided with juggling multiple tasks or becoming overwhelmed with details, which can take away from the positive or deeper aspects of the experience. In terms of a birthcountry visit, emotional preparation relates to the exploration of thoughts and feelings about China followed by organized and purposeful behaviors related to ensure a meaningful visit. Emotionally preparing children can be daunting for adoptive parents, as it includes talking with children about serious matters that can involve complex or ambiguous feelings. That is, while adoption is a wonderful way to create families, it also means that, at some point, a child must come to terms with China as part of her adoptive identity. Following are some suggestions in emotionally preparing your child (and yourselves) for a birthcountry visit to facilitate a meaningful visit. The political and socioeconomic forces that have made China the primary source country for international adoptions is unique. What it means for Chinese adoptees is that, for the most part, there is less ambiguity about why their birthfamilies could not care for them. There are many academic and authoritative resources that speak to this, but two which most eloquently and supportively address these complex issues and are specifically written for Chinese adoptees are " When You Were Born in China " by Sara Dorow, and " Kids Like Me in China " by adoptee Ying Ying Fry, who was a 3 rd grader at the time of publication. Both of these books utilize photographs of children and adults in China in naturalistic settings relevant to orphanage and adoptive histories. Also important, both books emphasize that families in China love their children. Sometimes, no matter how many times children hear this from their parents, this point can really hit home when communicated through other avenues. Additionally, it is helpful if both similarities and differences are highlighted in a relatively even manner. Some children may be comforted to know that some aspects of their life are relatively universal (e.g., hotels, McDonalds and restaurants). Taking this concept one step further on a more meaningful level, it is helpful for children to know that the larger social context is also generally universal such as, family constellations and social class. For example, Sarah would likely have benefited from exposure to the idea that impoverished and homeless people (beggars) exist in every country as well as working class and "white collar" professionals. I would have benefited from a few casual but specific lessons in social etiquette when I spent time in my birthcountry (I'm sure this would have reduced the number of "looks" and "stares" that I may have overpersonalized at the time). By imparting a range of social conditions, children are provided with greater perspective from which to view their birthcountry and themselves. Related to the suggestion above, a core issue that challenges adoptees, especially international adoptees, has to do with the phenomena that they were born in one country to a particular family, but are now living in an entirely different country with a family completely unrelated to them. This can stir insecurities at the most basic yet complex level ¨C identity. For the most part, Chinese adoptees do not have the benefit of knowing their ancestry, let alone their immediate birthfamily, or being told what they were like as an infant or young child. For many adoptees looking backwards in their history, it is as if their existence began at the time of adoption. For children who were adopted beyond infancy, this can be quite unsettling as school-aged children naturally think about where they came from, and how their life began and dramatically changed. 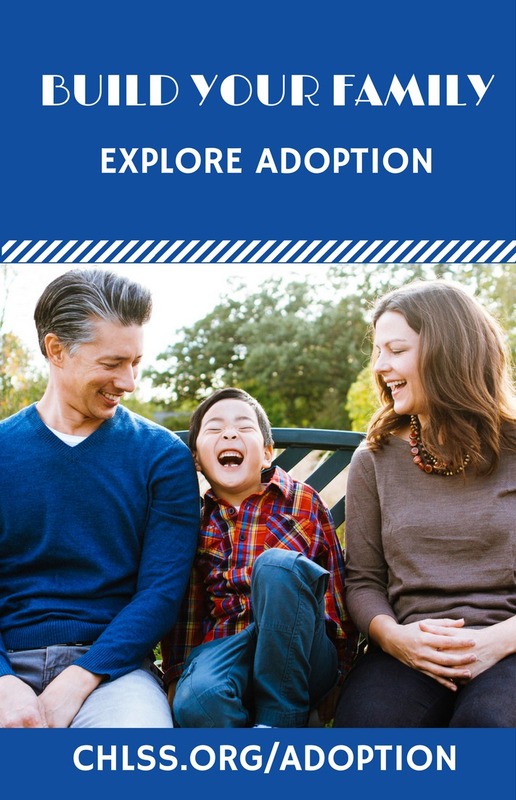 Adoptive parents can facilitate continuity in the identity of their children by sensitively and openly talking with them about their lives before adoption. By doing this from a very early age, children become comfortable with the concepts of adoption and birthcountry. This comfort will help children feel secure when going to their birthcountry. The two books mentioned above are good vehicles for opening this type of discussion, as are open-ended questions when a child is in a calm and receptive state. Granted, little is known about a child's preadoptive history; however, creative and affirming questions or statements, (" I bet your birthmother had beautiful eyes like yours .") show positive support of adoptees core struggle with an ambiguous beginning. Developmental age or how a child behaves can be vastly different than a child's chronological age. When addressing emotionally laden issues, use your child's developmental age to direct their interests and experiences. For example, younger children need to eat more frequently, have a shorter attention span, and are less able to regulate their behavior and emotions making them more dependent upon their parents when coping with stress. Depending on your child's developmental age, families will want to plan for strategic "quiet" or "down time" to allow children to process the experience in way that does not overwhelm them. For some children they may include structuring their sensory experiences (e.g., carefully planning the number of outings, avoiding particularly crowded or noisy situations or alternating active and sedentary activities). 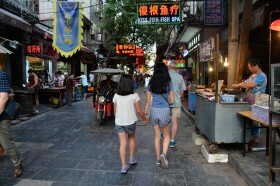 You or your child may have expectations that she will "blend in" once in China. Often times the opposite is true. The reality is that Chinese adoptees are mostly raised by Caucasian families. As a result they will probably impart a Western (or other) culture in their demeanor, which often contrasts with the subtle and indirect general communication style of Asian culture. By exploring Chinese culture as a family before the birthcountry visit, your child (and you) will become more comfortable with cultural similarities and differences, which are important in facilitating realistic expectations. Causal educating statements, such as, " Did you know China has the world's largest population ?" or " Did you know spaghetti was invented in China ?" are usually intriguing segues for conversation, which can lead to more meaningful discussion about their birthcountry. One resource for books, videos and more is www.asiaforkids.com . Most children readily learn about new places when provided tactile experiences. A globe or large world paper map can be used to show where China is located, along with your child's province of origin, where the family will be staying¡­etc. Children usually enjoy using markers to designate these special places, and it also provides them with a readily understandable visual reference that can make the experience more relevant for them. Whether by inborn temperament or life experience, some adoptees have special needs with respect to their ability to process strong or ambivalent feelings in an adaptive manner. These children will need particular sensitivity in how they are prepared for a birthcountry visit, and it is recommended that parents consult with an adoption mental health professional to facilitate this process. Undoubtedly, these children will need a more structured itinerary and opportunities for supported quiet time. Some potentially challenging experiences such as, an orphanage visit, may need to be reserved for another birthcountry visit when the child has acquired more mature coping skills. · Family Emphasis : Do emphasize the birthcountry visit is a family trip, not a sacrifice the parents have made for a child, as this can place undue pressure on a child who may not want to upset her parents or may feel guilty about the allocation of time and expenses. Additionally, emphasis on the family imparts a positive message to the child that the family considers her birthcountry to be an important aspect of her identity and the family's as well. · Active Participation : Most school-age children love to participate in family plans. It makes them feel important and valued. Providing thoughtfully pre-chosen options is one way to structure their participation in a productive manner. In a previous article specific ways to engage your child in the birthcountry visit such as, having her create her own album using a camera, keeping a travel diary or journal. For some children the opportunity to videotape matters of interest to them can also be valuable. In summary, with emotional preparation, a birthcountry visit can provide an invaluable familial experience that imparts cultural knowledge and perspective. However, most importantly, it is an opportunity or a stepping stone for your child to learn about herself, and be able to meaningfully come to terms with her adoptive identity. Dr. Rebecca Nelson is a clinical child psychologist who specializes in working with adopted children and their families. She maintains a private practice in Glenview, Illinois and offers child assessment and family consultation services. Additionally, Dr. Nelson is an adoption educator and community liaison. Her research focused on the developmental impact of early institutional rearing. She also works at Evanston Hospital's Infant Special Care Unit's Developmental Clinic, assessing infants and children born at-risk. Dr. Nelson was adopted from South Korea at the age of five and has a unique appreciation for the psychological and developmental complexities that can challenge adoptees and their families.